The program will provide incentives to those looking to build fleets using Tesla vehicles. This morning, the Tesla Motor Company announced the launch of the Tesla Business Leasing program, which it claims will be “straightforward and transparent.” I can’t help but wonder if this will inspire another bawdy and ridiculous video from Vince Megna, who seems to think that Tesla’s practices are so far removed from “straightforward and transparent” that he felt it necessary to bring a George Clooney cardboard cut-out to a Wisconsin courthouse and duck tape his female paralegal’s mouth shut. Again, WTF is all that need be said here. The announcement proclaims that the Tesla Business Leasing program will be user friendly and will offer upfront monthly costs during the configuration process. 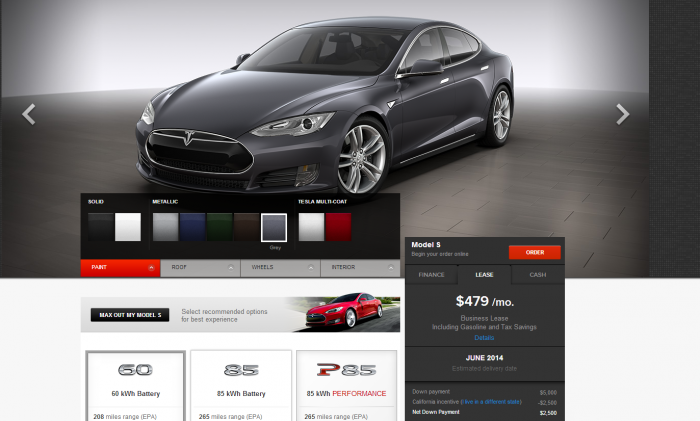 Indeed, using Tesla’s configurator, leasing prices start as low as $408/month. All things considered, that’s pretty cheap. After all…wait. 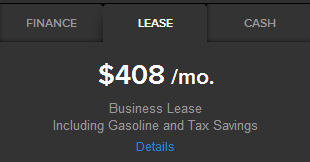 “Including Gasoline and Tax Savings?” Yes, I’d like to see the details. What? 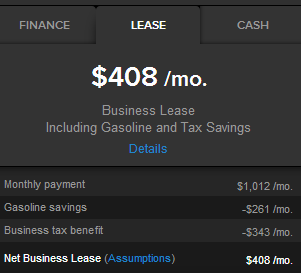 You mean the monthly payment really starts closer to $1,012, but there is an assumption for fuel costs and business tax benefits? WHERE IS THE TRANSPARENCY, TESLA? Maybe we do need Vince “Eater of Worlds” Megna. I shall relieve Tesla of the burden of existence. I shall loosen them from their wretched shell. I will set you all free. Additionally, the lease agreement is said to be less than three pages and written in plain English. All paperwork can be filled out electronically, and customers will have the opportunity to fully review the lease agreement prior to delivery. The Tesla Business Leasing program also promises a suite of products including Resale Value Guarantee and loan offers from Tesla’s banking partners. Business leasing is currently available in California, Colorado, Connecticut, Florida, Illinois, Massachusetts, Maryland, New York, Texas, and Washington.